Santo Domingo.- Justice ministry Jean Alain Rodríguez has asked Argentina, Panama and Spain for reports on financial products of the 14 indicted in the Odebrecht case as well as of their children, in-laws, spouses, siblings, relatives or close friends. The request includes 34 people and 51 companies linked to the defendants in the US$ 92.0 million that the Brazilian company paid between 2001 and 2014. In missives to back the requests for international legal cooperation in criminal matters, Rodríguez asks confidentiality from the authorities of those countries a, information on Rondón’s relatives and associates. Santo Domingo.- El ministro de Justicia Jean Alain Rodríguez solicitó a Argentina, Panamá y España informes sobre los productos financieros de los 14 acusados ​​en el caso Odebrecht, así como de sus hijos, suegros, cónyuges, hermanos, parientes o amigos cercanos. La solicitud incluye 34 personas y 51 compañías vinculadas a los demandados en los US $ 92.0 millones que la compañía brasileña pagó entre 2001 y 2014. En misivas para respaldar las solicitudes de cooperación jurídica internacional en materia penal, Rodríguez solicita confidencialidad a las autoridades de esos países a, información sobre los familiares y asociados de Rondón. The same request was made about Conrad Pittaluga Arzeno, Leonardo Guzmán Font-Bernard, Víctor Díaz Rúa, Andrés Bautista, Temístocles Montás, among others. Rodríguez requested information on financial products in the financial system of Argentina, Panama and Spain. “If the answer is positive, we require that you send us all the information registered in relation to them, among these, the amounts that keep these products to date, photocopies of the forms of any bank transfer (swift) that exists, the movements or records that exist in relation to said financial products from January 2001 until December 31, 2014, including a certified copy of the client’s file that preserves the financial institution,” he said. “The present request has the character of confidentiality, for which we appreciate that the authorities that have knowledge or participate in the execution of the same, maintain the confidentiality on the content of the same and the documents resulting from it,” the official said. He also requested information on any participation of any individual as holders of participation, partners, directors or managers of any registered company in those countries. ESPANOL:La misma solicitud se hizo sobre Conrad Pittaluga Arzeno, Leonardo Guzmán Font-Bernard, Víctor Díaz Rúa, Andrés Bautista, Temístocles Montás, entre otros.Rodríguez solicitó información sobre productos financieros en el sistema financiero de Argentina, Panamá y España. "Si la respuesta es positiva, requerimos que nos envíe toda la información registrada en relación con ellos, entre ellos, los montos que mantienen estos productos hasta la fecha, fotocopias de los formularios de cualquier transferencia bancaria (swift) que exista, los movimientos o los registros que existen en relación con dichos productos financieros desde enero de 2001 hasta el 31 de diciembre de 2014, incluida una copia certificada del archivo del cliente que preserva la institución financiera ", dijo. "La presente solicitud tiene el carácter de confidencialidad, por lo que apreciamos que las autoridades que la conocen o participan en la ejecución de la misma, mantengan la confidencialidad sobre el contenido de la misma y los documentos que de ella se derivan", dijo el funcionario.También solicitó información sobre cualquier participación de cualquier individuo como tenedores de participación, socios, directores o gerentes de cualquier compañía registrada en esos países. 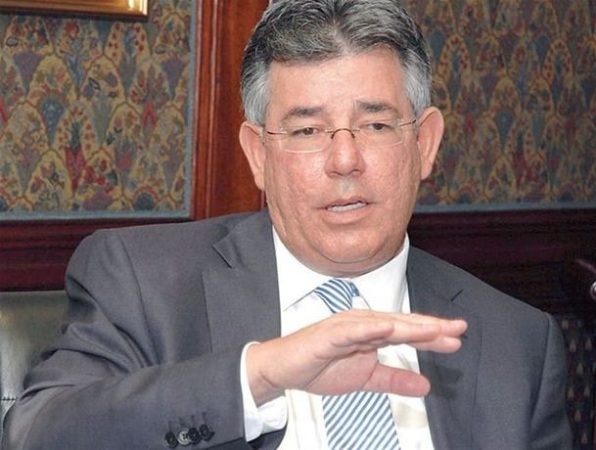 Santo Domingo.- Justice ministry Jean Alain Rodríguez has asked Argentina, Panama and Spain for reports on financial products of the 14 indicted in the Odebrecht case as well as of their children, in-laws, spouses, siblings, relatives or close friends. The request includes 34 people and 51 companies linked to the defendants in the US$ 92.0 million that the Brazilian company paid between 2001 and 2014. In missives to back the requests for international legal cooperation in criminal matters, Rodríguez asks confidentiality from the authorities of those countries a, information on Rondón’s relatives and associates. The same request was made about Conrad Pittaluga Arzeno, Leonardo Guzmán Font-Bernard, Víctor Díaz Rúa, Andrés Bautista, Temístocles Montás, among others. Rodríguez requested information on financial products in the financial system of Argentina, Panama and Spain. “If the answer is positive, we require that you send us all the information registered in relation to them, among these, the amounts that keep these products to date, photocopies of the forms of any bank transfer (swift) that exists, the movements or records that exist in relation to said financial products from January 2001 until December 31, 2014, including a certified copy of the client’s file that preserves the financial institution,” he said. “The present request has the character of confidentiality, for which we appreciate that the authorities that have knowledge or participate in the execution of the same, maintain the confidentiality on the content of the same and the documents resulting from it,” the official said. He also requested information on any participation of any individual as holders of participation, partners, directors or managers of any registered company in those countries. Definitions of Santo Domingo.- Justice ministry Jean Alain Rodríguez has asked Argentina, Panama and Spain for reports on financial products of the 14 indicted in the Odebrecht case as well as of their children, in-laws, spouses, siblings, relatives or close friends. The request includes 34 people and 51 companies linked to the defendants in the US$ 92.0 million that the Brazilian company paid between 2001 and 2014. In missives to back the requests for international legal cooperation in criminal matters, Rodríguez asks confidentiality from the authorities of those countries a, information on Rondón’s relatives and associates. The same request was made about Conrad Pittaluga Arzeno, Leonardo Guzmán Font-Bernard, Víctor Díaz Rúa, Andrés Bautista, Temístocles Montás, among others. Rodríguez requested information on financial products in the financial system of Argentina, Panama and Spain. “If the answer is positive, we require that you send us all the information registered in relation to them, among these, the amounts that keep these products to date, photocopies of the forms of any bank transfer (swift) that exists, the movements or records that exist in relation to said financial products from January 2001 until December 31, 2014, including a certified copy of the client’s file that preserves the financial institution,” he said. “The present request has the character of confidentiality, for which we appreciate that the authorities that have knowledge or participate in the execution of the same, maintain the confidentiality on the content of the same and the documents resulting from it,” the official said. He also requested information on any participation of any individual as holders of participation, partners, directors or managers of any registered company in those countries. Synonyms of Santo Domingo.- Justice ministry Jean Alain Rodríguez has asked Argentina, Panama and Spain for reports on financial products of the 14 indicted in the Odebrecht case as well as of their children, in-laws, spouses, siblings, relatives or close friends. The request includes 34 people and 51 companies linked to the defendants in the US$ 92.0 million that the Brazilian company paid between 2001 and 2014. In missives to back the requests for international legal cooperation in criminal matters, Rodríguez asks confidentiality from the authorities of those countries a, information on Rondón’s relatives and associates. The same request was made about Conrad Pittaluga Arzeno, Leonardo Guzmán Font-Bernard, Víctor Díaz Rúa, Andrés Bautista, Temístocles Montás, among others. Rodríguez requested information on financial products in the financial system of Argentina, Panama and Spain. “If the answer is positive, we require that you send us all the information registered in relation to them, among these, the amounts that keep these products to date, photocopies of the forms of any bank transfer (swift) that exists, the movements or records that exist in relation to said financial products from January 2001 until December 31, 2014, including a certified copy of the client’s file that preserves the financial institution,” he said. “The present request has the character of confidentiality, for which we appreciate that the authorities that have knowledge or participate in the execution of the same, maintain the confidentiality on the content of the same and the documents resulting from it,” the official said. He also requested information on any participation of any individual as holders of participation, partners, directors or managers of any registered company in those countries. Examples of Santo Domingo.- Justice ministry Jean Alain Rodríguez has asked Argentina, Panama and Spain for reports on financial products of the 14 indicted in the Odebrecht case as well as of their children, in-laws, spouses, siblings, relatives or close friends. The request includes 34 people and 51 companies linked to the defendants in the US$ 92.0 million that the Brazilian company paid between 2001 and 2014. In missives to back the requests for international legal cooperation in criminal matters, Rodríguez asks confidentiality from the authorities of those countries a, information on Rondón’s relatives and associates. The same request was made about Conrad Pittaluga Arzeno, Leonardo Guzmán Font-Bernard, Víctor Díaz Rúa, Andrés Bautista, Temístocles Montás, among others. Rodríguez requested information on financial products in the financial system of Argentina, Panama and Spain. “If the answer is positive, we require that you send us all the information registered in relation to them, among these, the amounts that keep these products to date, photocopies of the forms of any bank transfer (swift) that exists, the movements or records that exist in relation to said financial products from January 2001 until December 31, 2014, including a certified copy of the client’s file that preserves the financial institution,” he said. “The present request has the character of confidentiality, for which we appreciate that the authorities that have knowledge or participate in the execution of the same, maintain the confidentiality on the content of the same and the documents resulting from it,” the official said. He also requested information on any participation of any individual as holders of participation, partners, directors or managers of any registered company in those countries. Translations of Santo Domingo.- Justice ministry Jean Alain Rodríguez has asked Argentina, Panama and Spain for reports on financial products of the 14 indicted in the Odebrecht case as well as of their children, in-laws, spouses, siblings, relatives or close friends. The request includes 34 people and 51 companies linked to the defendants in the US$ 92.0 million that the Brazilian company paid between 2001 and 2014. In missives to back the requests for international legal cooperation in criminal matters, Rodríguez asks confidentiality from the authorities of those countries a, information on Rondón’s relatives and associates. The same request was made about Conrad Pittaluga Arzeno, Leonardo Guzmán Font-Bernard, Víctor Díaz Rúa, Andrés Bautista, Temístocles Montás, among others. Rodríguez requested information on financial products in the financial system of Argentina, Panama and Spain. “If the answer is positive, we require that you send us all the information registered in relation to them, among these, the amounts that keep these products to date, photocopies of the forms of any bank transfer (swift) that exists, the movements or records that exist in relation to said financial products from January 2001 until December 31, 2014, including a certified copy of the client’s file that preserves the financial institution,” he said. “The present request has the character of confidentiality, for which we appreciate that the authorities that have knowledge or participate in the execution of the same, maintain the confidentiality on the content of the same and the documents resulting from it,” the official said. He also requested information on any participation of any individual as holders of participation, partners, directors or managers of any registered company in those countries.